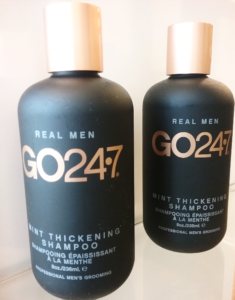 This invigorating shampoo is expertly formulated for men to help thicken and refresh the hair to leave it feeling luxurious! The ingredients are the key to what makes this product impress any man looking for rejuvenation. Menthol to stimulate the scalp. Vitamin E to promote hair growth. Honey to aid cell rejuvenation & peppermint oil to sooth problem scalps. Wet hair, apply, lather, rinse & repeat!